I am Irish and we are known for talking non-stop. We have the gift of chatting on and on. 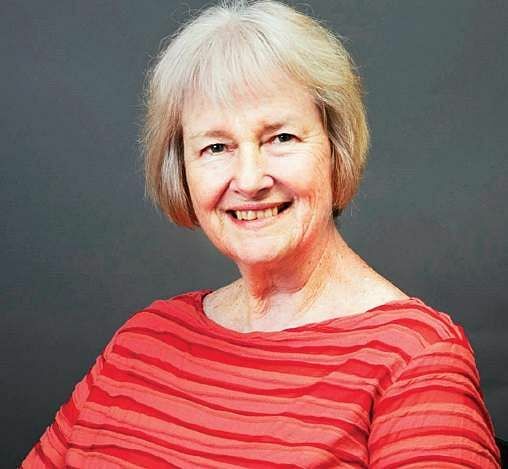 Storytelling is part of our culture,” says Cathryn Fairlee, a California-based storyteller. She is in the city for the opening performance of Chennai Storytelling Festival 2018. CHENNAI: I am Irish and we are known for talking non-stop. We have the gift of chatting on and on. Storytelling is part of our culture,” says Cathryn Fairlee, a California-based storyteller. She is in the city for the opening performance of Chennai Storytelling Festival 2018. A successful storyteller for the past three decades, Cathryn specialises in telling stories to teenagers and adults. She has expert knowledge in epics. “I have travelled around the world many times for workshops and sessions. I have travelled to learn about different cultures and treat them with respect, and gone back to the US to share my views,” she says. This is not her first trip to India. Cathryn’s love for storytelling perfectly aligns with the myriad ways in which stories are told in India. For instance, through dance forms like Therukoothu and Kattakoothu. She became particularly interested in the Mahabharata when she first heard the story from a woman in Andhra Pradesh. “I’m still in the process of learning, it’s never-ending,” she says. What fuels her fascination for this Indian epic? “I enjoy the mythology, how the characters tell each other stories, how Draupadi is treated with respect, and so much more,” she explains. At the festival, for her opening performance, Cathryn will narrate folktales from around the world about strong and clever girls and women. “I will be singing as well, in the local languages as part of the story,” she shares. True to her nature, Cathryn goes on to narrate a Chinese tale about a fisherwoman who loses her fisherman husband to drowning, after which his ghost guides her to take care of their children. “Women who have lost their husbands relate to this story,” Cathryn shares. She believes that the first skill a storyteller needs is ‘listening’. “Storytelling teaches you how to listen, and if you haven’t heard stories as a child, you don’t learn to listen,” she says. According to her, storytelling is the way people learn about their culture, but in the last few years, this art has lost its popularity. “The more TV, computers, and shows we show and watch, the lesser we listen. We are losing our ability to communicate,” she says, asserting that we need to get back to being human beings.